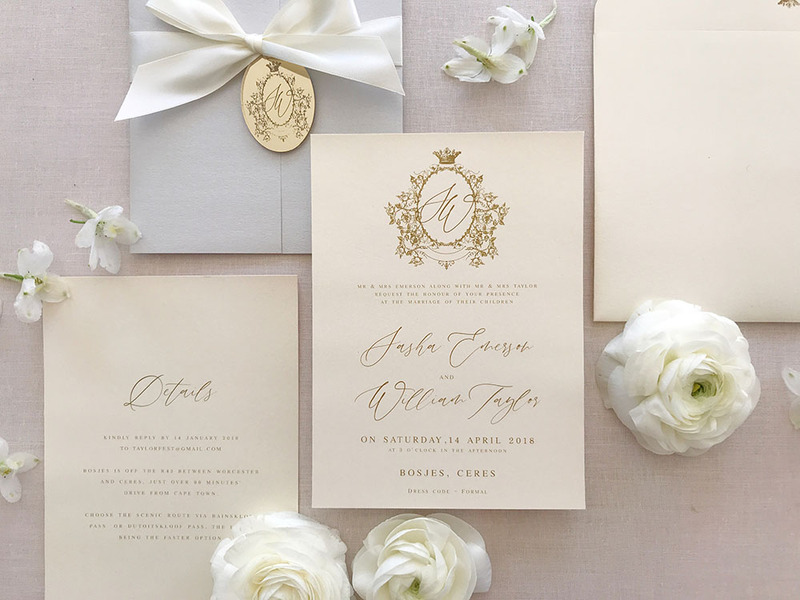 A classic invitation suite for a whimsical affair! The Opal invitation comprises of a silver gate folder holding two digitally printed, single sided inner cards. The folder is finished with a gold acrylic engraved oval charm and cream satin ribbon. 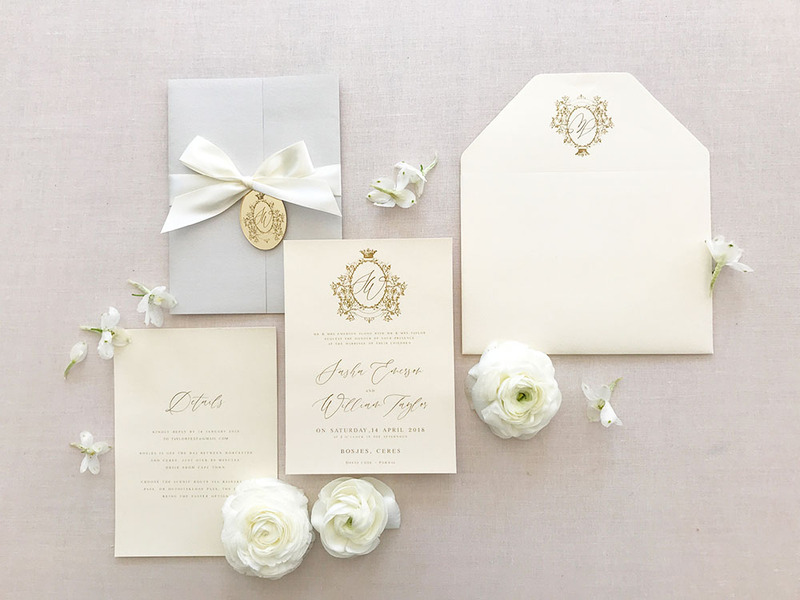 A matching cream iridescent envelope is included in the suite.